Neck 25.5″ scale, maple neck with built-in maple fingerboard. 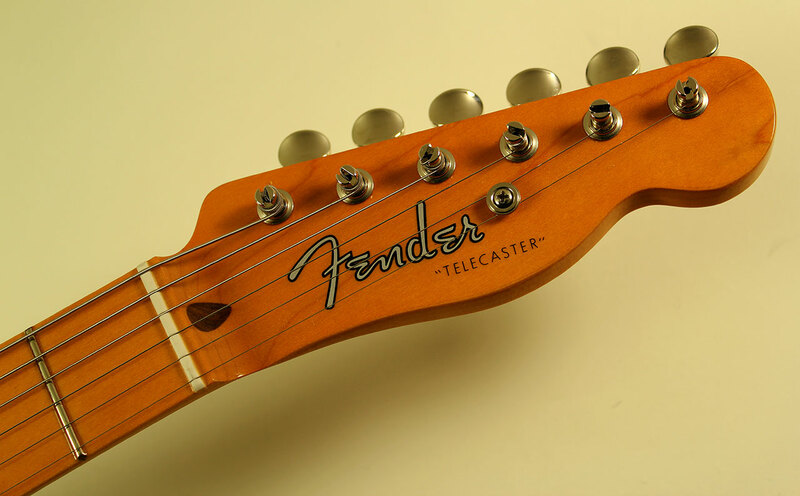 Fender ‘Spaghetti’ Telecaster decal in the original style. 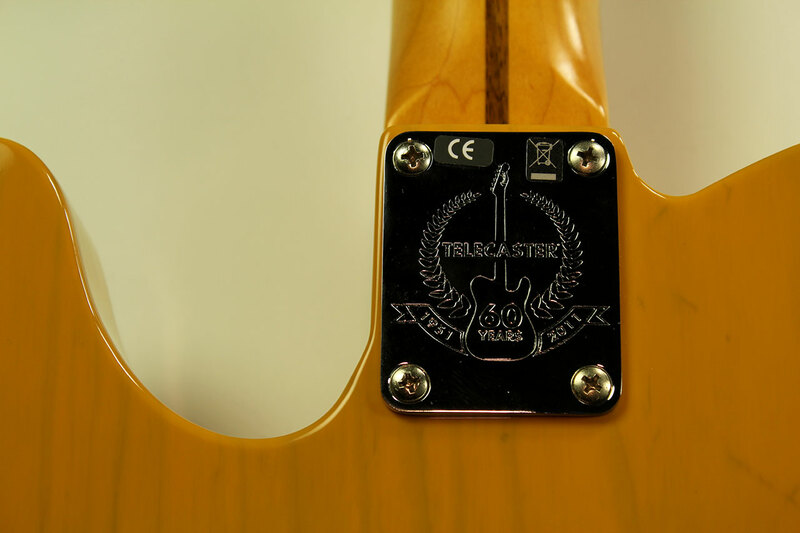 The neck has a slightly full, rounded V profile. 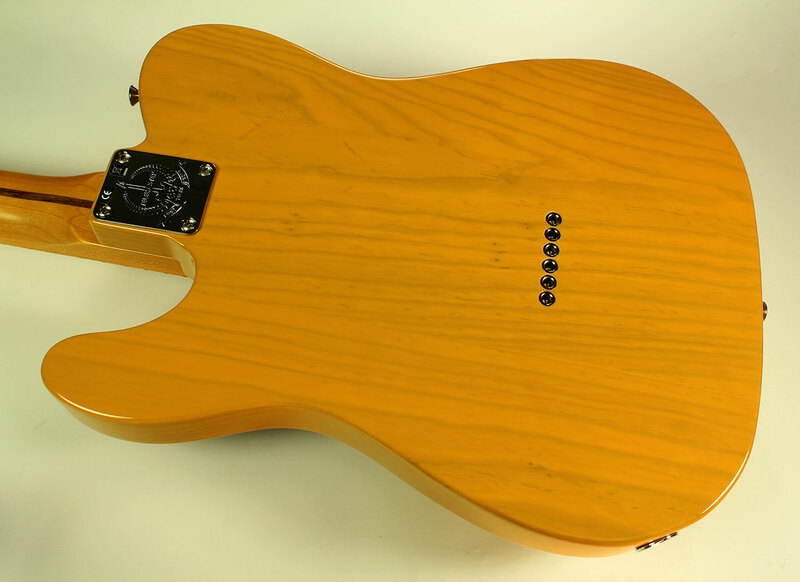 Body Ash body with classic vintage Blonde finish. . Finish Classic vintage Blonde gloss finish with the Neck having a slight antiqued tint. 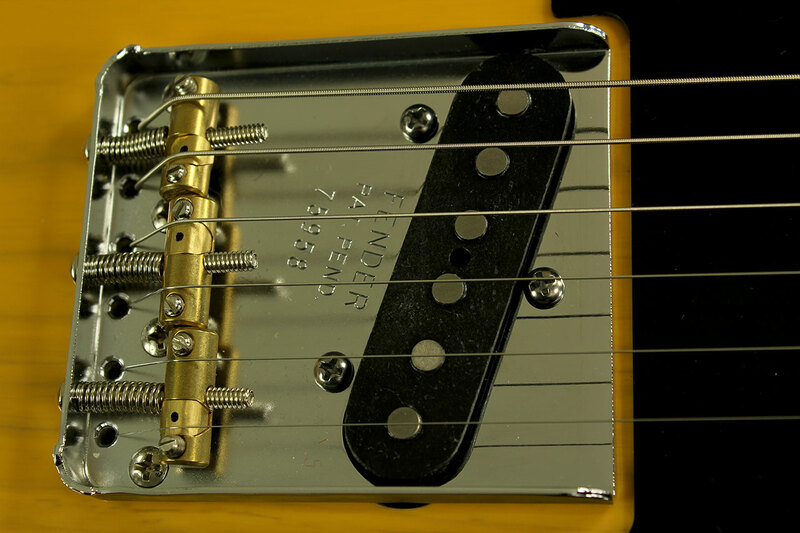 Hardware/electronics VIntage-style split-post tuners, vintage single coil pikcup at bridge, humbucking Seymour Duncan ’59 model pickup in the neck position, three-way switch, volume and tone controls. The bridge features a three-saddle vintage appearance, but actually has the ability to intonate separately for each string. Loosen one of the split saddles with an allen key, slid it into position, and tighten. Playability/Action Plays as you’d expect a new Telecaster to, and it intonates better! 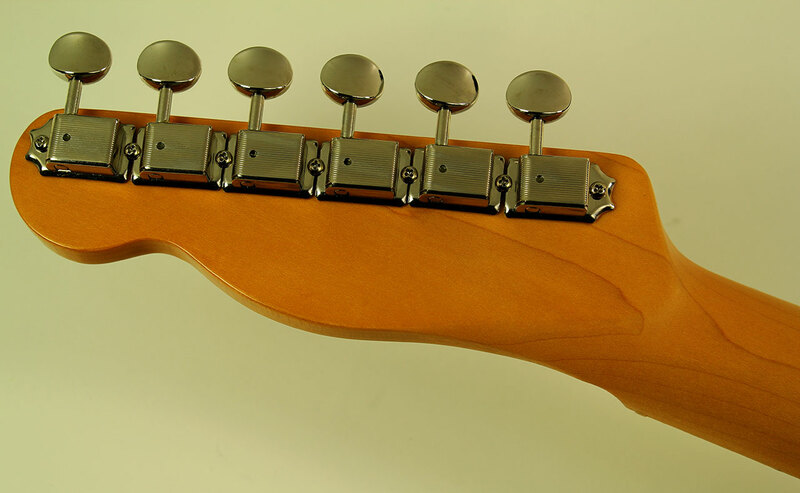 The Fender design lends itself to fast adjustment for virtually any player’s requirements. Case Original Fender case included. Comments NOTE: This instrument has been discontinued and is no longer available from Fender. This post remains for historical purposes only. The Fender Telecaster has proven to be a classic example of an innovative, durable, attractive design that’s lasted for over 60 years for a simple reason: as stock, it more than meets the needs of its users, but is easy to modify and still work extremely well. 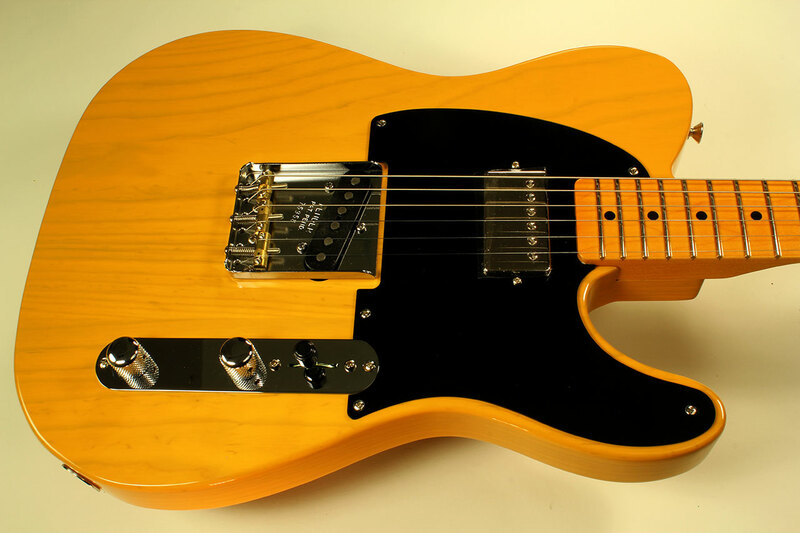 This model has two basic differences – the humbucking pickup and the six-saddle ‘vintage appearance’ bridge.